How much does it cost to file for bankruptcy in New Jersey? While filing for bankruptcy tends to have a negative connotation, in reality, it serves as a great way for those struggling with money or debts to get a fresh start. But, as is the case with many things in this world, filing for bankruptcy is not free. This may make it a daunting or seemingly impossible avenue to take, especially considering the lack of income that is fueling the problem to begin with. That being said, it is important to know the different costs that are associated with filing for bankruptcy so you know if it is a viable option for you. 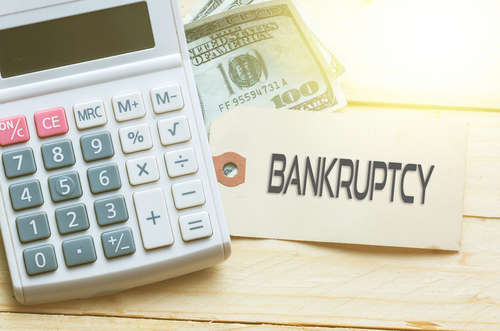 Before the cost of bankruptcy itself comes into play there are fees that need to be paid for like bankruptcy filing fees, pre-filing fees, and bankruptcy attorney fees. Pre-filing fees come into play in the form of a credit counseling class, which are intended to teach debtors how to avoid future financial problems. This class usually runs around $50. But luckily, in New Jersey, it is illegal for credit counseling agencies to turn away those who cannot afford the course. You must be able to prove, with evidence, that you cannot pay. Two common types of bankruptcy to file under are Chapter 7 and Chapter 13. Chapter 7 comes with a filing fee of $306 and this is when you surrender your non-exempt assets. Those assets will be sold and the proceeds will be used to pay your debts. Chapter 13 comes with a filing fee of $281 and this is when you make scheduled payments on a created 5-year payment plan. Whether you file under Chapter 7 or Chapter 13, at the end of each process your remaining unsecured debt is discharged. It is also important to note if your case gets dismissed at any point that you will have to pay the filing fee again in order to reopen it. It goes without saying that hiring a bankruptcy attorney is not free. Costs will vary though and it depends on the attorney and your case. A more routine case should be on the lower side in terms of cost. But an involved case may result in a higher bill. At the end of the day, the cost of bankruptcy itself can be much more than the aforementioned fees. That is why it is important to reach out get the help of an experienced bankruptcy lawyer. Experienced attorney Joel R. Spivack is ready to help you protect your assets while eliminating your debt. Contact the Law Office of Joel R. Spivack today to begin discussing your case.